Not all home insurance policies are made equal and whilst your home insurance policy might provide some cover for your bike(s), its not likely to be adequate or cost-effective for an avid cyclist like you! Here we give you some tips on what to look out for in your home insurance policy when assessing whether you need specialist bicycle insurance cover like that provided by Laka! Most home insurance policies will require you to specify bikes above a certain value (sometimes as low at £300) and will have a maximum value for all bikes, often only a few thousand pounds. We know you guys have some pretty serious bikes and collections and abide by N+1 and so the max value restrictions under most home insurance policies just won’t do for you! At Laka we&apos;ll cover any bike between £750 and £10,000 and collections up to £20,000. We insure some seriously sweet custom rides to commuters. Some household policies will only cover your bike whilst its at your home... no good if you actually ride your bike(s). A household policy may not cover you outside the UK whilst you&apos;re on that bike packing trip in New Zealand, training camp in Tenerife or at that big race in Belgium. Laka&apos;s specialist bicycle insurance covers you worldwide for up to 60 consecutive days and we settle claims fast to get you back on the road, wherever you are. Most home insurance policies won&apos;t cover you during races or even sportives. At Laka we cover all types of races so you know we&apos;ve got your back when the flag drops. Covering your bike(s) on your home insurance policy might not be the most cost effective thing to do, especially when you think about the high excesses often found on home insurance policies, not to mention what impact making a claim might have on your future premiums.  The Laka Community pay the true cost of claims each month via their share. Home insurers cover everything from toasters to trampolines so when you come to claim, the chance of dealing with someone who knows their 12 speed eTap from their kitchen tap is slim. Before settling a claim your home insurer might look to apply depreciation to the value of your bike and hit you with a hefty excess. At Laka we&apos;ll do neither! At Laka we spend all day everyday getting cyclists gear repaired or replaced to get then back on the road. We speak your language and we settle claims fast.